We have come a long way since the deep cuts the legislature made during the Great Recession. And we have a ways to go. Our budget solves some of our underlying funding issues and invests in education, mental health, and other programs we know make our state better. The Senate Republicans have claimed that they can balance our state budget without new taxes, but their budget only balances with some pretty big transfers of funds. Transferring funds to pay for state services isn’t sustainable – it’s like using your children’s education fund to pay your rent. The college fund will run out, leaving you unable to pay rent and your kid won’t be able to pay for college. Among other things, the Senate Republican budget takes money away from the Public Works Assistance Fund, that’s money that creates jobs and is supposed to fund projects that support clean drinking water, protect our environment and preserve our public health and safety. And they divert recreational marijuana taxes from health and drug awareness programs to meet their bottom line. Instead of asking the very-wealthy to pay their fair share in taxes, the Senate Republicans are raiding dedicated accounts and cutting services that benefit all of us. Our state has the most regressive tax system in the nation. You read that right, the most regressive of all 50 states. That means that our poorest residents pay a far higher percentage of their income in taxes than our wealthiest. 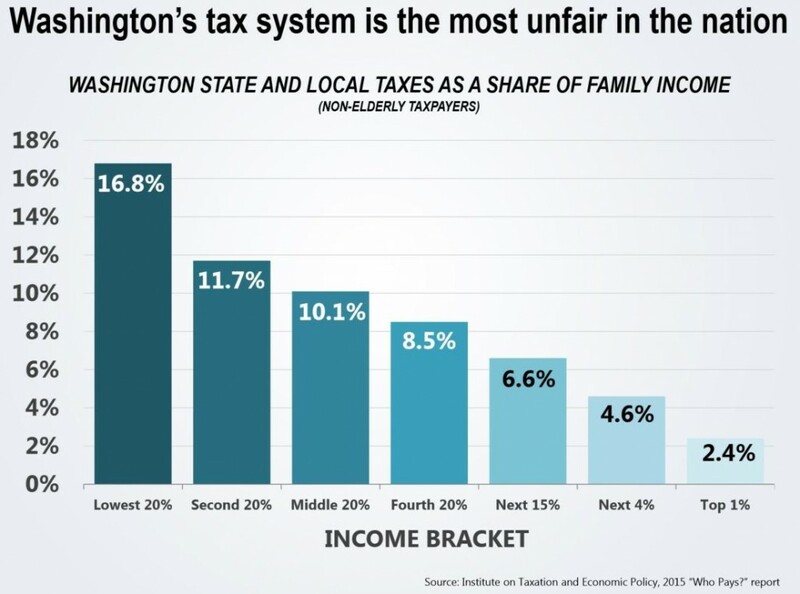 If we are going to grow our economy from the middle-class out, we need to balance out the burden of paying taxes, and that means the wealthiest Washingtonians need to pay their fair share. We are proposing that when a person makes more than $25,000 in profit (or $50,000 for joint filers) from the sale of stocks, investment properties, and other luxury items, they pay a capital gains tax of 5%. The money from the sale of these investments will be invested right back in our education system, funding public schools and making sure that higher education remains affordable. This proposal would almost exclusively impact the very-wealthy in our state. The tax would not apply to primary residences, retirement accounts, and most sales of agriculture lands and timber. In fact, according to non-partisan analysis, only 3 percent of families making less than $250,000 a year would have paid this tax from 2007-2012. The Senate chooses to stick with the status quo – leaving our low and middle income families to continue shouldering the lion’s share of taxes. Our budget and the Senate Republican’s budget make great steps towards fully funding K-12 education. 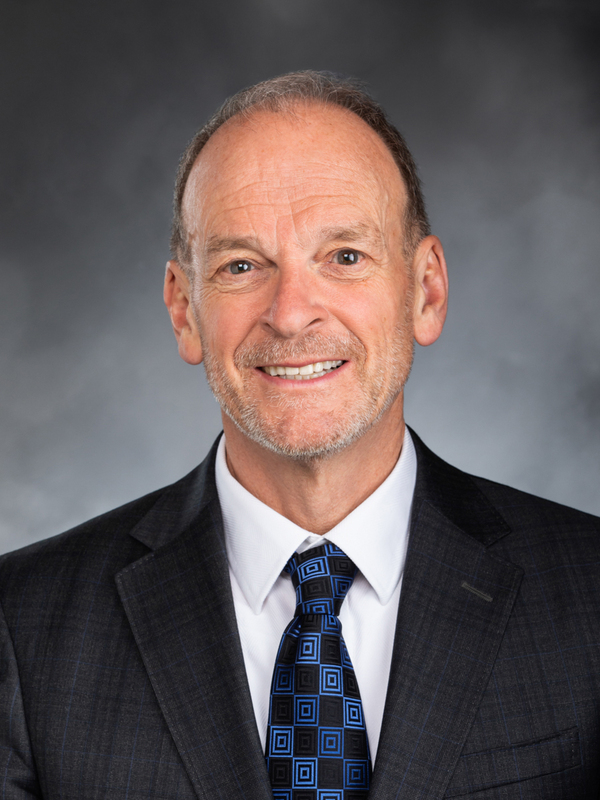 Our budget allocates $1.4 billion in new K-12 investments that honors the promises we made to students and complies with the Supreme Court’s McCleary decision. But our budget doesn’t stop there. In order to get the greatest return on our investment, children need to have their basic needs met. Not having things like food and shelter can hinder a child’s chances at learning, no matter how great their school is. The Senate Republican’s budget doesn’t fund important programs to keep kids fed like breakfast after the bell or state food assistance. Nor have implemented my bill, HB 1682, to make sure homeless students have the support they need to succeed. Our budget includes these programs and many more services we know are necessary to truly provide opportunity for all Washington students. It invests significantly more than the Senate Republican proposal in early learning. High-quality early learning is proven to be one the best investments we can make in closing the opportunity gap and ensuring the success of future generations in school, college, careers and beyond. I believe that you get what you pay for, and I want to live in a Washington that has a great future. So I know we need to make serious investments in our next generation to give them, and our state, the best shot at success. Small businesses are the backbone of our economy. They hire our workers and invest in the economy and it’s time we recognize that and help them continue to grow. We’re going to get Washington back to business by nearly doubling the small service business tax credit, while asking wealthier corporations to pay more of their fair share. This proposal will mean that 70% of small businesses will either pay $0 or a reduced rate in business & occupation taxes. 15,000 businesses will have their B&O tax eliminated completely. That’s a major reduction for middle-class families and entrepreneurs who are just trying to make payroll each month, or want to expand but can’t quite save enough to get there. At the same time, we’re leveling the playing field. Most online retailers abide by an old, outdated law that lets them get out of collecting sales tax. Amazon collects sales tax, but out-of-state online retailers don’t. That’s unfair to our local small businesses, so we’re establishing a new standard that makes everyone play by the same rules. The Marketplace Fairness Act will establish a tiered approach to begin collecting sales tax for these online sales, just like we do at a brick and mortar store and through Amazon. It creates a fairer system that doesn’t punish our small business owners while giving preference to large, out-of-state online operations.